A performance by Tony Avila’s band in front of a monumental painting by Lancelot Alonso. 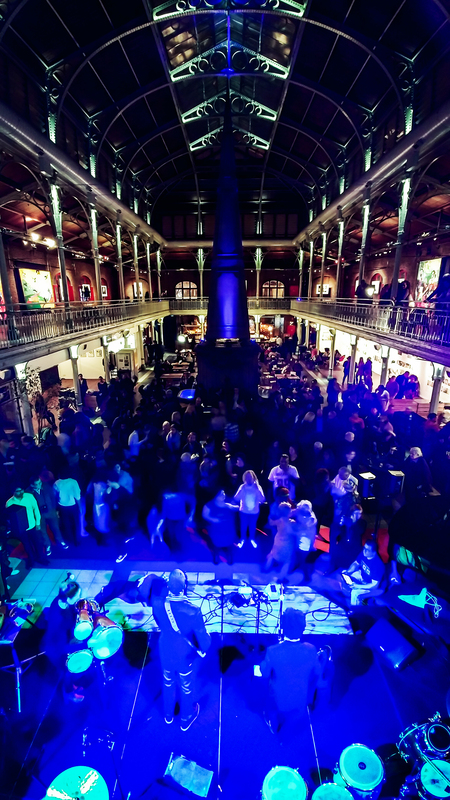 The audience in Halles Saint-Géry is unable to resist the infectious Cuban rhythms! 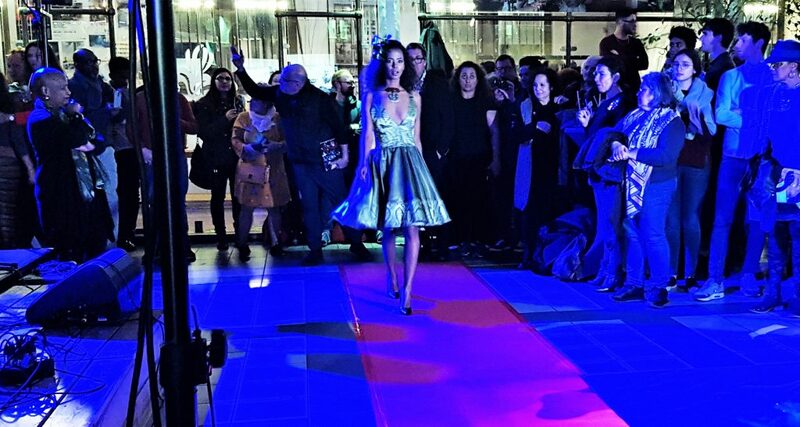 Catwalk show of designer Mariela Alemán’s “Naturaleza Salvaje” collection under the attentive gaze of Her Excellency Norma Goicochea Estenoz, the Cuban ambassador to Belgium, and a captivated audience. 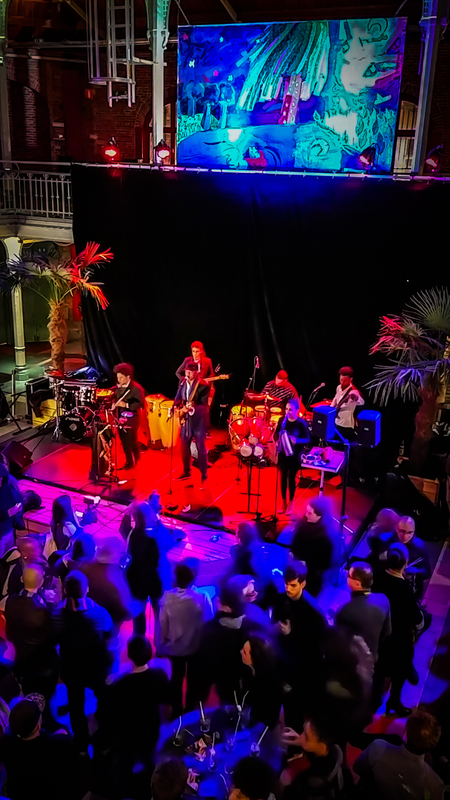 After a Brussels delegation visited Cuba in November 2018, the Brussels-Capital Region reiterated its increased cooperation with Havana, during two 100% Cuban events at the Halles Saint-Géry on 16 January and 4 February. On 16 January, Halles Saint-Géry put talented artists, designers and musicians in the spotlight during a Cuban festival. Following the speeches which highlighted the valuable cooperation between Brussels and Havana, two Cuban designers presented their work. Mario Freixas‘s collection, called “Evocación de mi Habana”, paid tribute to Havana and its history, with its noble materials and its colour palette of ivories and ochres. For her part, Mariela Alemán presented a series of iridescent and fiery creations as part of her catwalk show titled “Naturaleza Salvaje”. After the shows, the audience was able to discover three exhibitions of art disciplines, which are as diverse as they are complementary. They included painting, with the collection of colourful monumental works titled “Luna” by the young visual artist Lancelot Alonso. Photography was represented by a series titled “Adiós a las Normas” by the artist Eduardo Rawdríguez. An exhibition of comic strips, “Laboratorio & Kronikas”, by Maison Autrique, also highlighted the wonderful cooperation between the Brussels-Capital Region and Havana. 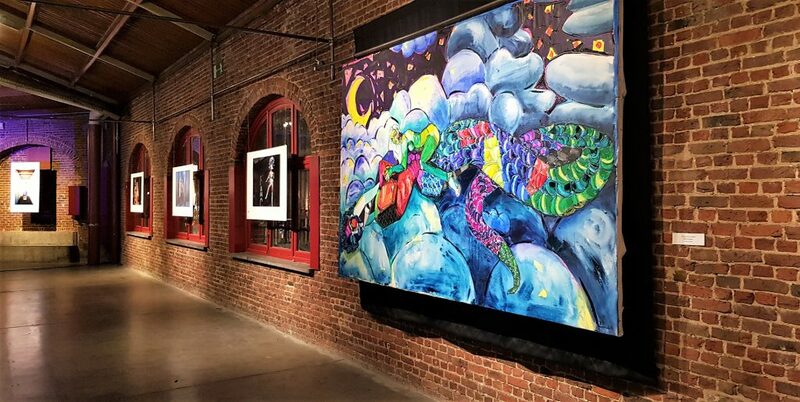 Exhibition of the colourful works of Lancelot Alonso and the original photos of Eduardo Rawdríguez in the Mezzanine of Halles Saint-Géry. Finally, no celebration of Cuba would be complete without its seductive, vibrant rhythms. The evening ended on a musical note, with the artist Tony Avila, his band and the “New Cuban Team” project, an ensemble of Cuban musicians. On 4 February, the history-laden cellars of Halles Saint-Géry hosted a study day on the Belgo-Cuban cooperation. Different representatives of the Belgian federal and regional administrations – including the Brussels Region – responded to the invitation of the Cuban embassy in Brussels and met with representatives of the scientific and academic community, as well as humanitarian organisations, to exchange expertise and discuss cooperation initiatives between the two countries. Various posters highlighted the results of the cooperation between Belgium and Cuba, more specifically the many activities organised by the Brussels-Capital Region during the Belgian Week in Havana, in November 2018, which was attended by Minister Guy Vanhengel, who is responsible for external relations.